The High Line, an elevated freight rail line converted into a park, has become a classic New York City attraction. Couple it with Chelsea, the neighborhood it goes through, and you’ve got one action-packed and informative 2-hour guided tour. Get an insider’s tour of this area, complete with outstanding architecture, and get the lowdown on the trendy Meatpacking District as well. 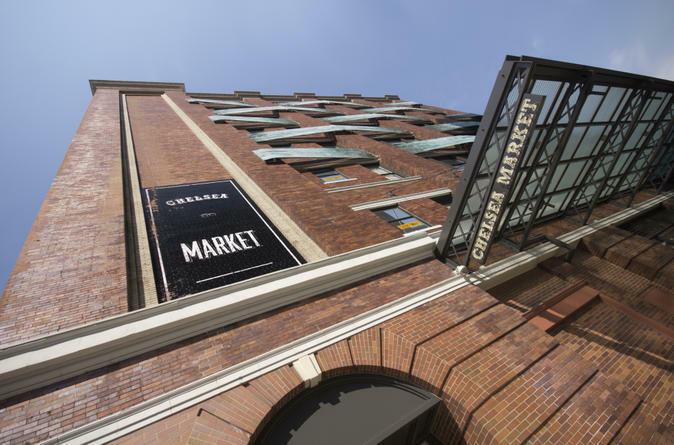 Meet your guide at Chelsea Market to begin this exciting and information-packed 2-hour guided walk through the elevated park known as the High Line as well as Chelsea and the trendy Meatpacking District. Expect to be wowed by the High Line. Once a functioning elevated railway line for cargo that went all the way down the west side of Manhattan, the railway fell into disuse and was abandoned in the 1970s. It sat there unused and unloved for decades until a group of locals, with a few celebrities tossed in for good measure, began a movement to turn it into a park. They succeeded. The first phase was completed in 2009. In September 2014, the final phase opened, completing a park that is enjoyed equally by tourists and locals. Learn about all the public art in the park, as well as the new buildings by famous architects that can be seen from the High Line. Check out Chelsea, a hip neighborhood known for its art galleries, restaurants and bars. At the end of the High Line, explore the Meatpacking District, a neighborhood that was once, as the name suggests, home to the city’s meat industry. Today it’s a super-trendy neighborhood with a hot nightlife scene. In 2 hours and just over a mile of walking, you’ll see an insider’s view of New York, leaving you ready to continue to explore these areas on your own.